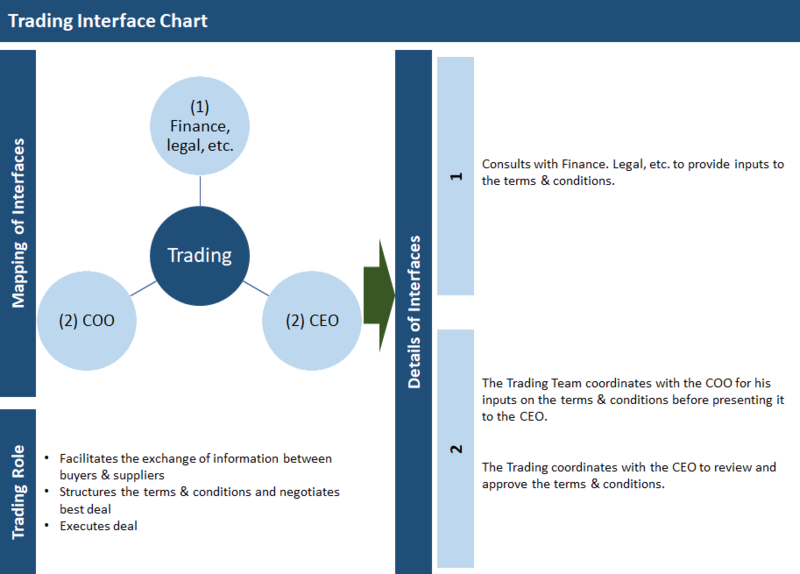 For any transaction that is not covered under the authority matrix, advice must be sought from the CFO. The approving authority cannot approve transactions which directly benefits him/her. For example, the approving authority’s expenses claims i.e. item for his/her own use. These transactions must be approved by the approving authority’s immediate superior. ​Any amendments, revisions or additions to the authority matrix shall be effective only upon approval by the board of directors. 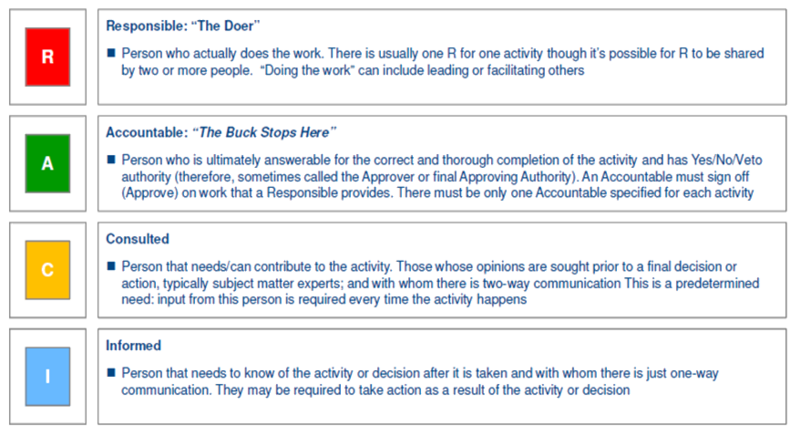 There are four types of authority interactions as illustrated below. 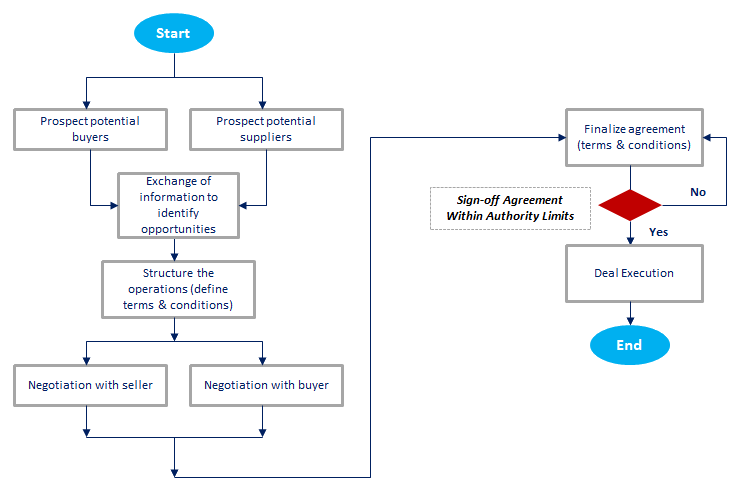 The below is a sample authority matrix that defines a basic procurement process. The Authority Matrix Template is designed to aid businesses with their financial & operational authorities. This product is editable to add / change based on your business requirements. 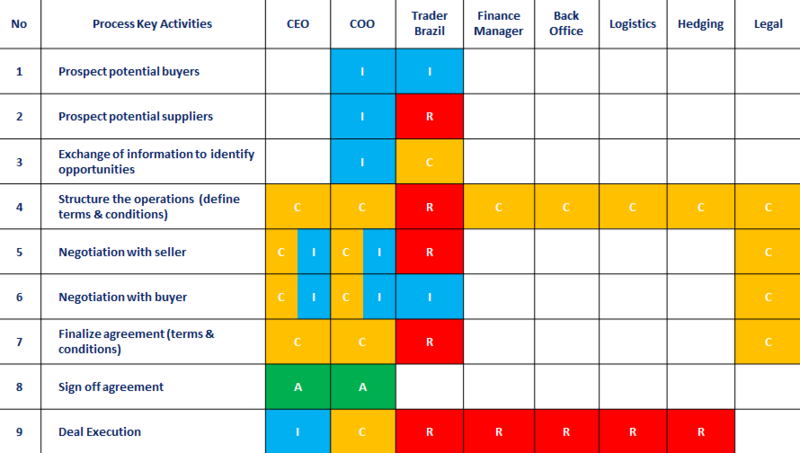 A responsibility assignment matrix, also known as RACI matrix describes the participation by various roles in completing tasks for a project or business process. It is especially useful in clarifying roles and responsibilities in cross-functional or departmental processes. RACI is an acronym derived from the four key responsibilities most typically used: Responsible, Accountable, Consulted, and Informed. ​Below are the standard definitions for R-A-C-I to expand on the business interface process chart. Lets further understand RACI with an example. A trading company in physical raw sugar defined their core business process activities to provide clarity about the roles and responsibilities of stakeholders for each key task as illustrated below. Once the physical raw sugar RACI has been defined and approved, the trading company mapped the physical raw sugar key activities and interface chart to illustrate the flow of the process. This will allow the company to focus on the work rather than on job titles or hierarchy.